You are invited to visit Jaremko Nissan in Spokane Valley Washington to view Heirloom Kayaks 16 foot sea kayak Pelican. 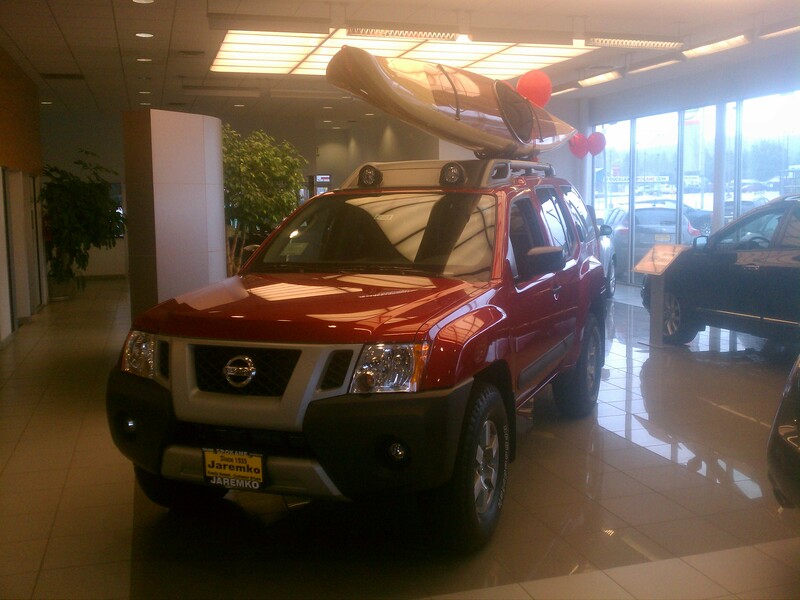 I was recently asked if I would like to show one of my kayaks on top of one of Jaremko Nissan’s 2012 Xterra trucks in their showroom. Of course I chose to accept the offer and my Pelican 16 ft sea kayak is now sitting atop an Xterra in the showroom looking ready for adventure. hey bro…what would it take to put a sail on one? Ready for adventure is right!! Beautiful kayak & Xterra combo!